A short biography of Spanish anarchist, civil war fighter and editor of the Friends of Durruti paper, Jaime Balius. Jaime Balius Mir was born into a bourgeois family in Barcelona in 1904. He gained his baccalaureate and registered in medical faculty. However a slowly advancing paralytic disease crippled him, and he was forced to withdraw. He became Catalan nationalist and was attracted to the insurrectionary nationalism of Colonel Macia. In 1922 he joined Accio Catalana and took part in the Catalanist demonstrations of 1923. Two years later he was one of the signatories of the Catalanist Manifesto of Bandera Negra and was involved in the Garraf plot against Alfonso XIII and in preparations for an secret Exercit Catala (Catalan Army). He was imprisoned and then exiled. In France, he became disillusioned with Macia and independentism . When the Republic was proclaimed he returned to Barcelona. He joined the BOC (Bloc Obrer I Camperol) but was disappointed by its centralist tendencies and its collaboration with the nationalist petty bourgeoisie. Impressed by the Figols insurrection, he became an anarchist. He joined the Iberian Anarchist Federation (FAI) in 1932 and the anarcho-syndicalist union the CNT from 1936 until his death. He was sponsored by experienced militants like Pablo Ruiz, Bruno Llado, Francisco Pellicer, Liberto Callejas, Alexander Gilabert and Eusebio Carbo. From the time of his FAI membership, he began working as a journalist for Ideas, Ruta, Superacion, and Tiempos Nuevos. His works were gathered together in three volumes, where the insurrectionary line is justified, and the performance of the CNT in the October 1934 Insurrection is defended, and nationalist ideology criticised. He was a member of the FAI affinity group Renacer alongside Ruiz, Pellicer, and Bruno Llado. On 19th July 1936, the dawn of the workers’ response to the generals’ coup which kick-started the Spanish Civil War and Revolution, he wrote with Gilabert for Solidaridad Obrera (“Soli”) and distributed it on the barricades. He defended proletarian hegemony in its pages during that summer. He used this to support working class independence and the revolution. At the beginning of the war and revolution he was elected vice-president of the Union of Journalists and entered Union Grup d’Escriptors Catalans. He wrote for Ideas, Ruta, Despartar and Mas Lejos. Callejas was director of Soli. 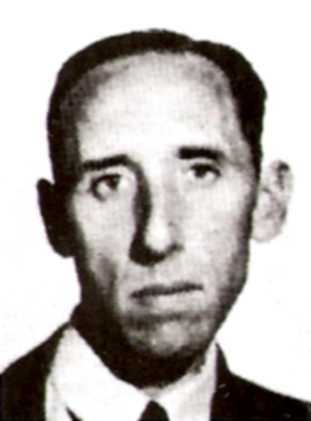 When he refused to print collaborationist speeches - which preached joining the Republican government - and when Callejas was replaced by Jacinto Toryho who spoke for the CNT-FAI collaborators, Balius was offered an honourable exit from Soli and took on the direction of La Noche (The Night) an old Azanista paper taken over by its workers. With Ruiz and Felix Martinez he was one of the founders of the Friends of Durruti which struggled against the betrayals of the CNT-FAI leadership and the attacks of the bourgeois Republicans and Stalinists. From 19th May 1937, he edited the Friends of Durruti paper El Amigo del Pueblo (Friend of the People) made illegal after its first few issues. He was dramatically involved in the May Days in Barcelona, during which the Communists consolidated their grip on power in Republican Spain. After the May Days the Friends of Durruti centre was forcibly closed down. Balius was arrested and put in the Modelo prison in Barcelona.. He continued to write articles from prison. On release he had to go into obscurity. He and Ruiz got jobs in the milk industry. He wrote his most famous text Hacia una nueva revolucion (Towards a New Revolution) in January 1938. Then Balius and many other surviving Friends were forced to flee to France in January 1939. There he set up the Grupo-Franco-Espanol de los Amigos de Durruti with others. With the invasion of France by the Nazis, Balius again had to flee taking the last boat of the Service of Emigration of Spanish Republicans (SERE) to leave for Latin America in 1940. Landing in Santo Domingo, he then spent some time in Cuba before ending up in Mexico where he stayed for the next 17 years. In 1961 he traveled to Paris, meeting up with his old friend Ruiz. They attempted to reorganise the Friends but this endeavour failed. He obtained a place in the residential home Beau Sejour near Hyeres and became for a long period editor of Combat Syndicaliste and Tierra Libre, papers of the CNT in exile. With the transition in Spain he began to be visited at Beau Sejour by students, historians and dissident anarchists. In 1978 Paul Sharkey translated Hacia una nueva revolucion into English, and Balius wrote a new introduction for it. He maintained his revolutionary élan , but his physical deterioration became more pronounced. He died on 13th December 1980. Ruiz died 3 years later. The last Friend still alive is Joaquin Perez Navarro, now 97 and living quietly in London.